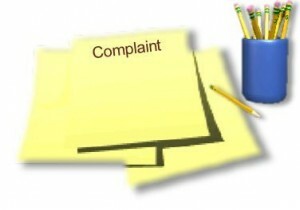 Home / Blog /Web design/Web Design: How to Deal with a Dissatisfied Client? Web Design: How to Deal with a Dissatisfied Client? Any web designer likes getting positive response to his work. Design requires creativity, hard work, persistence and efficiency. No wonder, the author of the project expects some recognition. But, picture the situation when you client is dissatisfied with the result – what would you do then? Today we will share a few tips how to handle the problem. The first thing you should do is … to calm down. Don’t panic; don’t get nervous no matter how hard it is. Getting a negative feedback is far from being pleasant, but you should always remember that when it comes to business, emotions should be left apart. So, cool down before you start acting. Then, you as the creator of website design should try to find out what went wrong. Try to understand the reasons for your client’s dissatisfaction before you start proving how wrong he is. Later, find enough time to discuss the reasons with your client. It is important to plan what you want to ask, since a spontaneous conversation can lead to the missing pieces of the puzzle to make up the whole picture. Lack of communication. There are two possible reasons here: a) your client didn’t clearly describe what he wanted to see in the end; b) you didn’t fully understand what your client expected. Breakdown in communications. This means that either you made decisions in the course of the project without consulting your client, or he incurred changes without letting you know about them. Different approaches to the vision of the project. You have one vision, your client has another. Change in ownership. Naturally, if the project shifts hands from when it originated, it will result in different expectations. Difficult project manager. Sometimes, the contact person you work with turns out to be a difficult person to please. It is a difficult case, since, on the one hand, you should fulfill all the requirements, and on the other hand, the list of these requirements can be never-ending, making it impossible to complete the project at all. Should you fix for free? It is a delicate question, indeed. If you realize that it was your fault (you made poor decisions or misunderstood the project), then you’d better fix for free. But it is reasonable to discuss compensation for your work and time, if your client decided to order extra options that were not previously discussed or changed the concept of the project without informing you. Let us know how you cope with similar situations in the comments below.